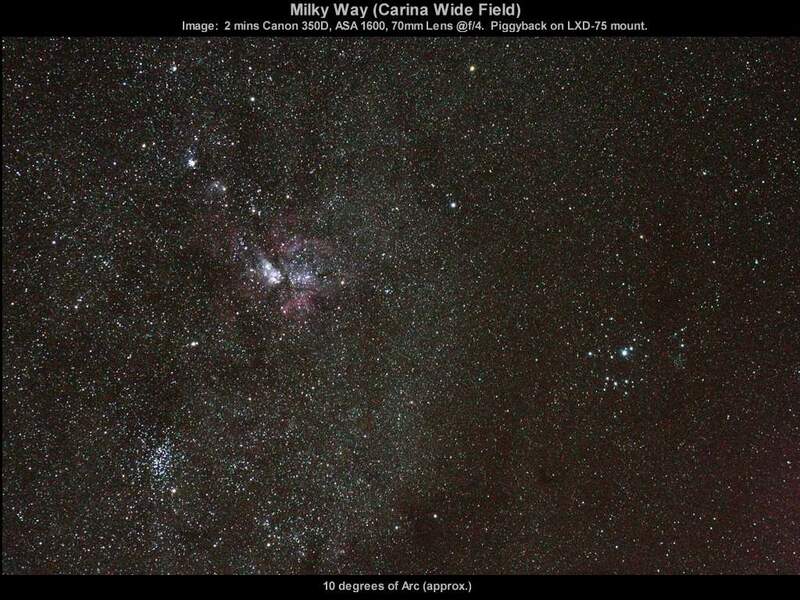 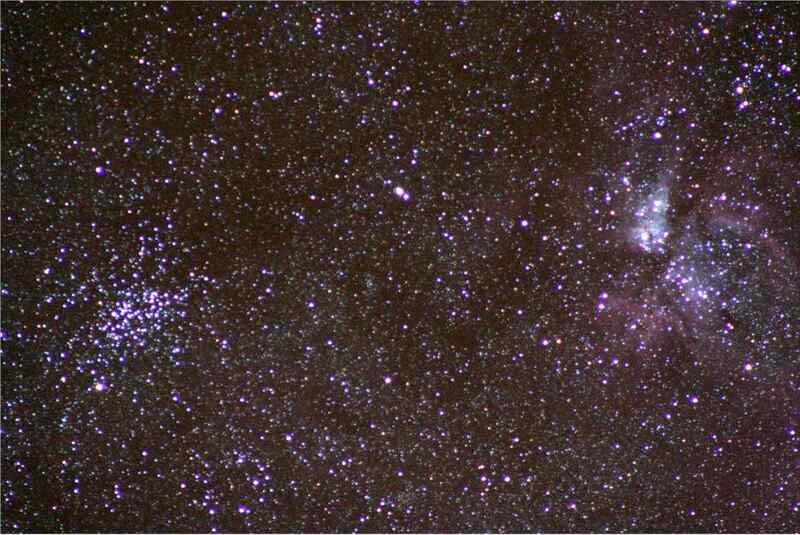 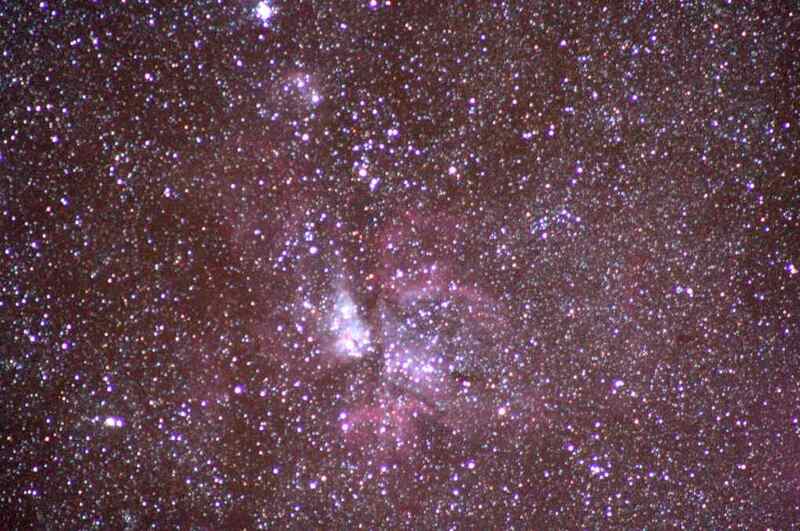 Widefield images are captured with camera lenses and not through telescopes. 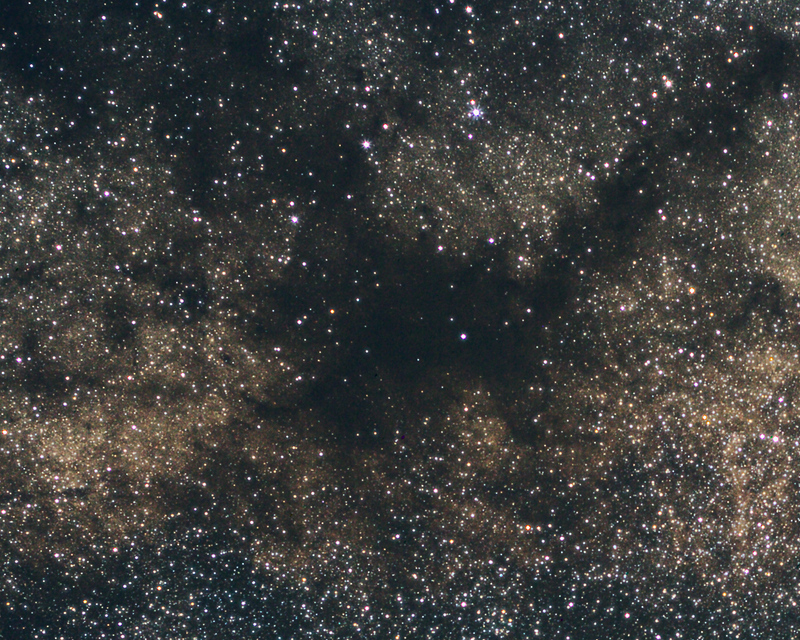 Widefields take in huge chunks of the sky. 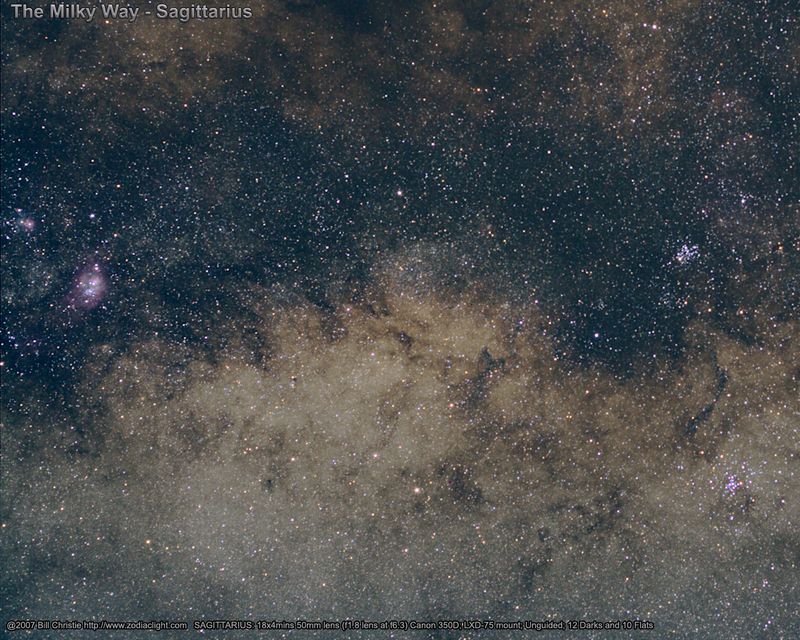 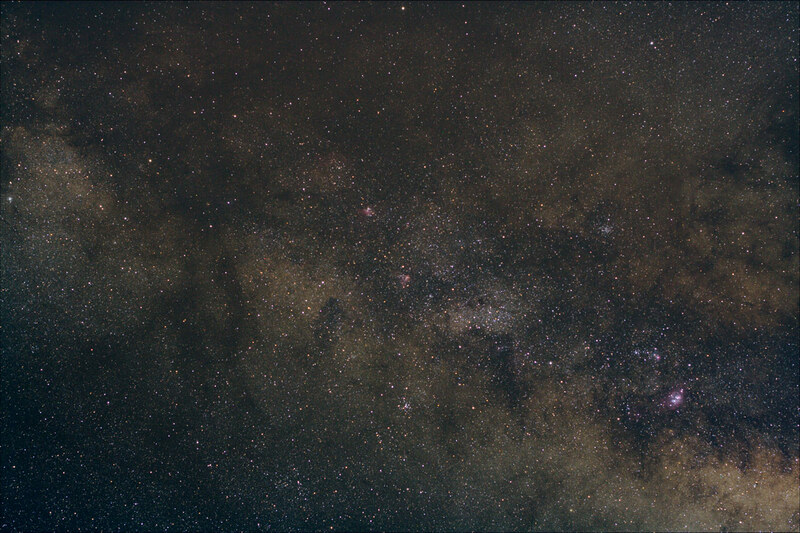 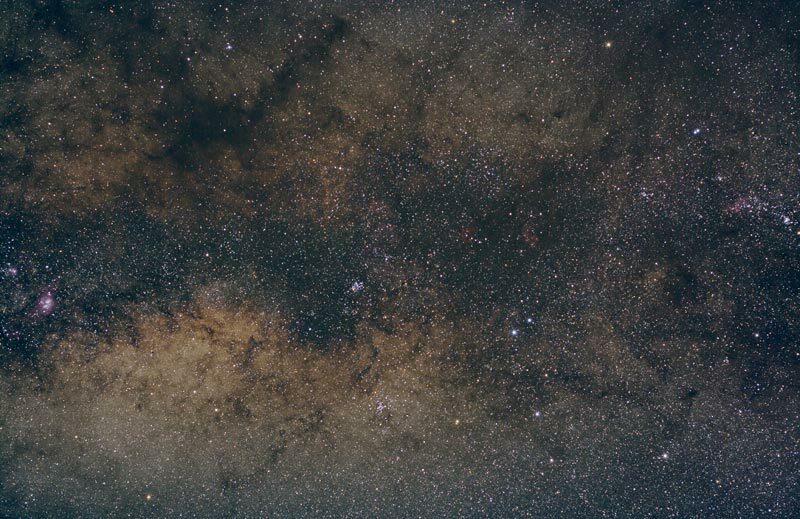 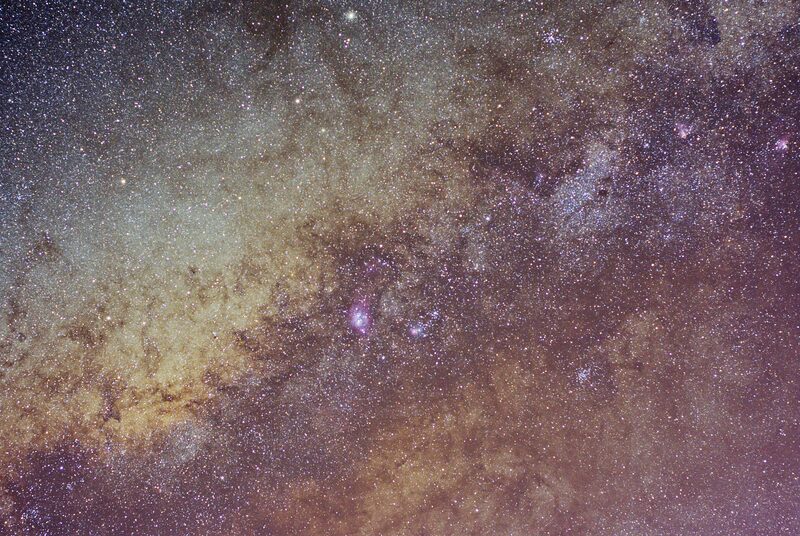 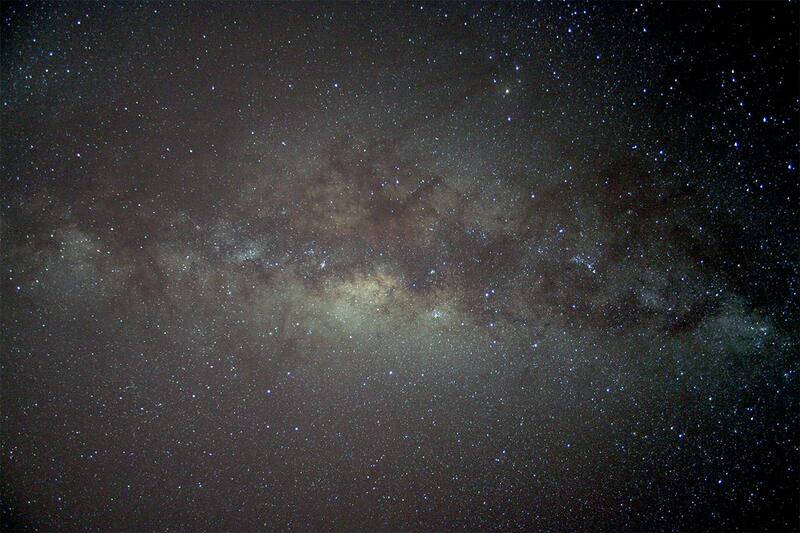 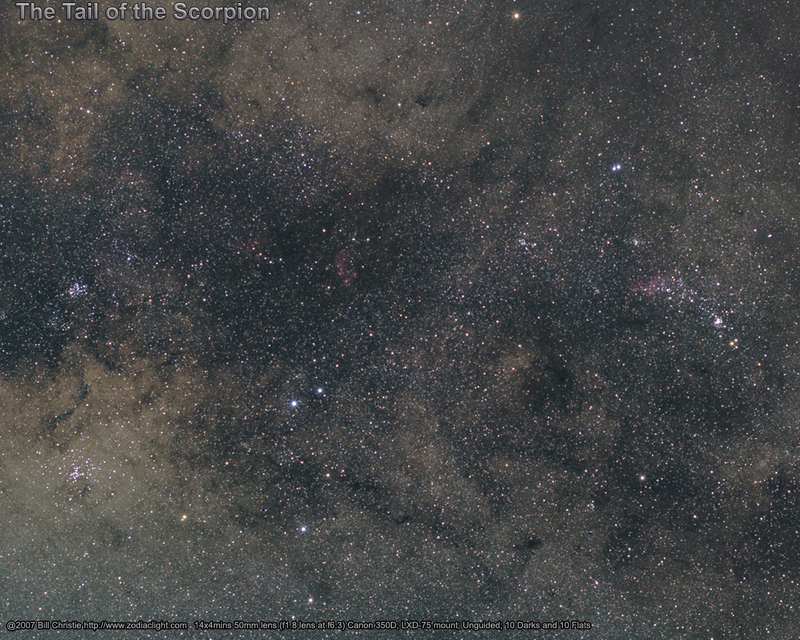 My favorite widefield images are of the Milky Way. The image below was taken with a 50mm EF II f1.8 Lens (cost only $US 90) on an unmodified Canon 350D Digital SLR camera. 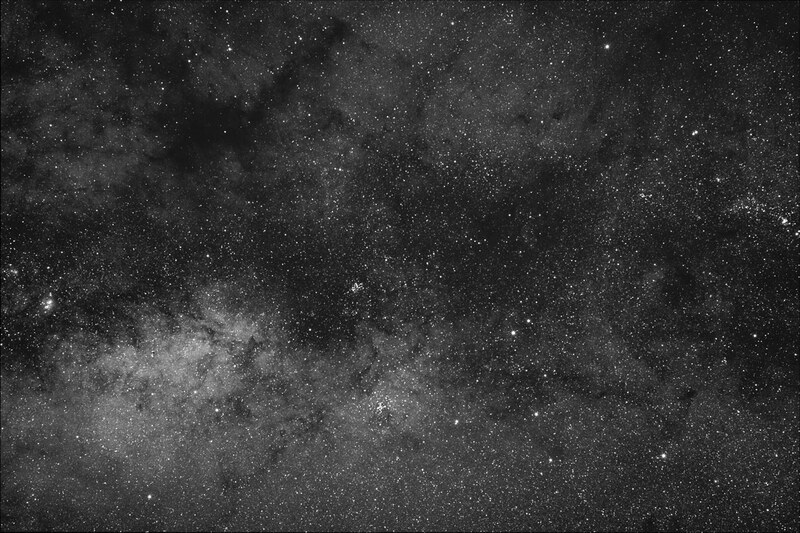 The camera was riding on a Meade LXD-75 mount set up in the driveway of my home. 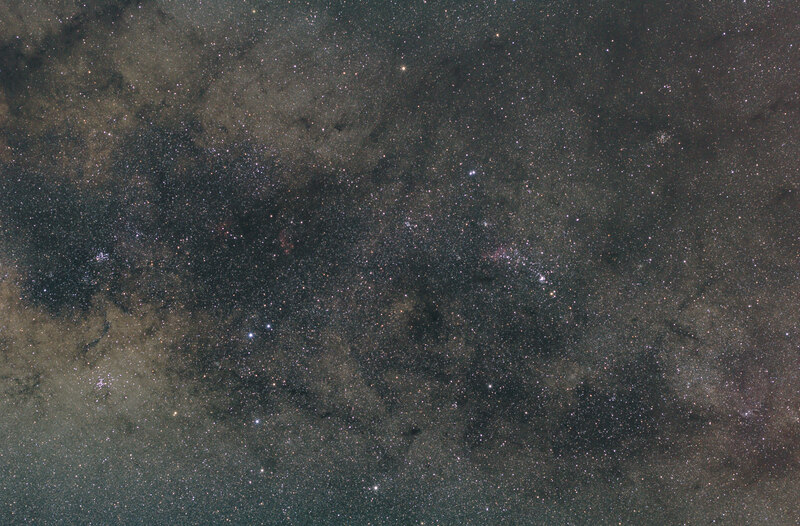 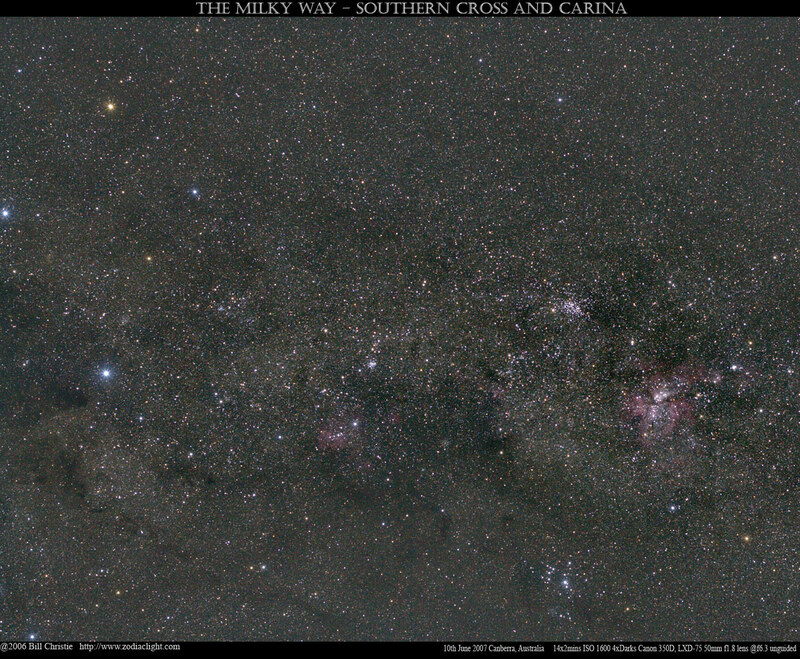 The image consists of 18 x 4 minute exposures at ISO 800 with the lens stopped down to f6.3. 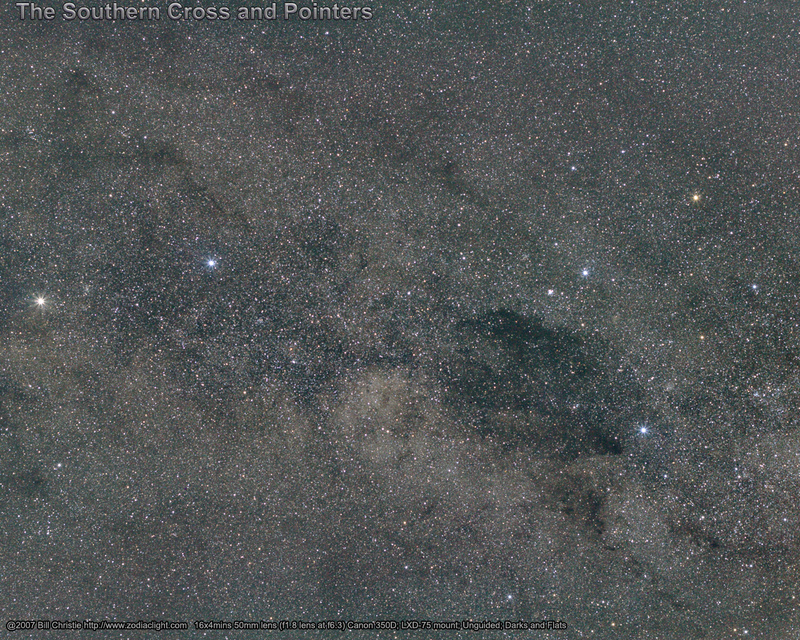 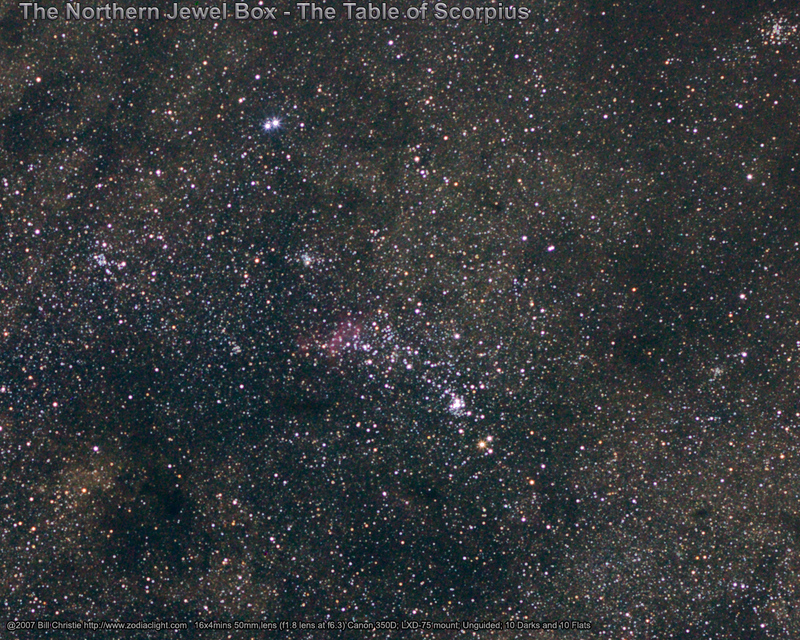 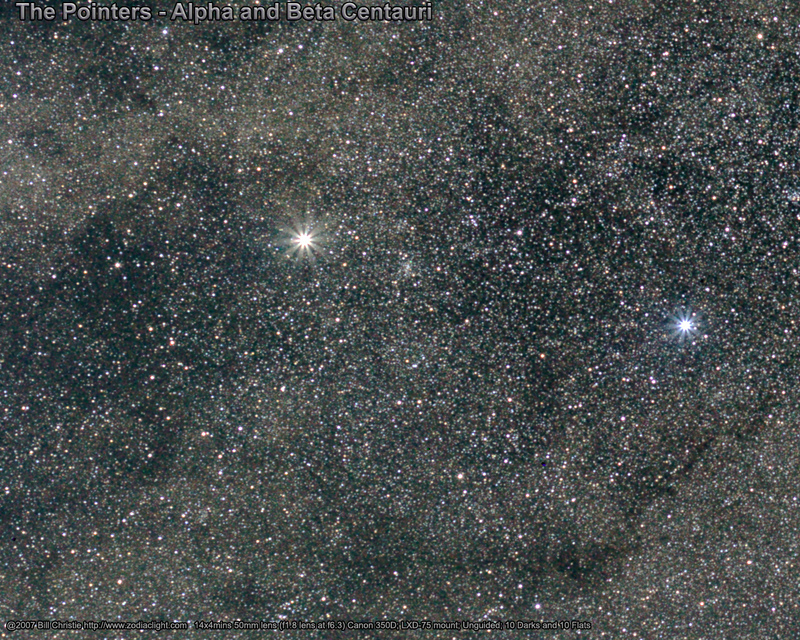 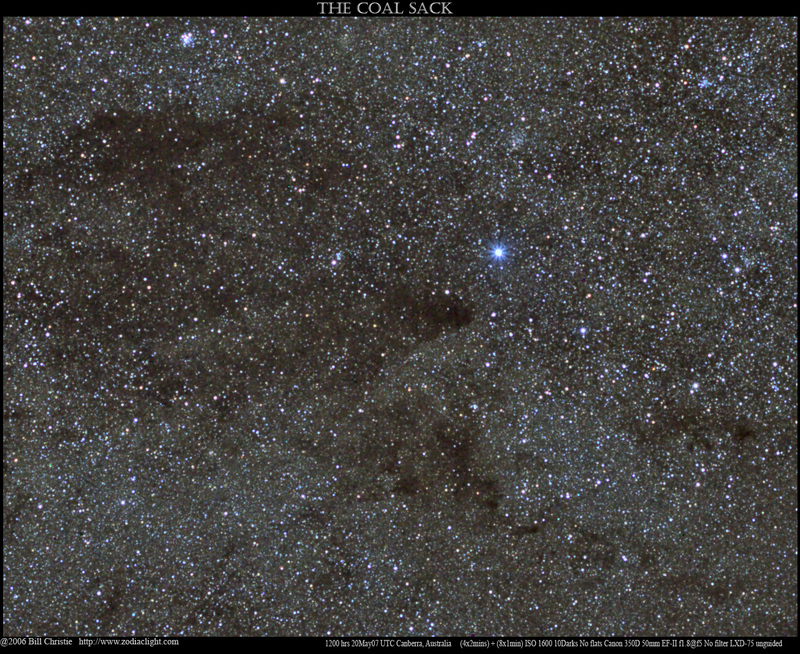 Astrophotographers stop down the lenses to yield nice round stars at the edges of the frame. 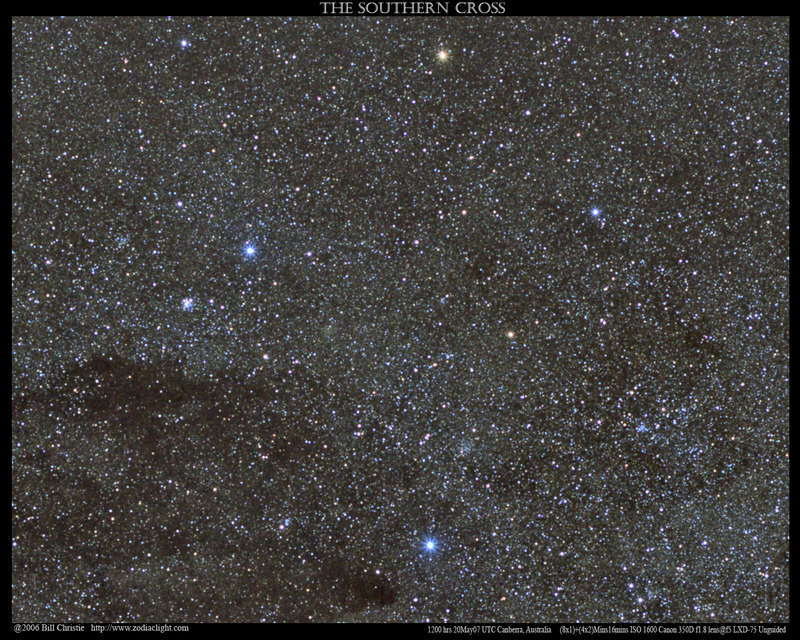 The field of view is about 25 degrees and the image below has been reduced in size to 800 pixels to fit on this page. 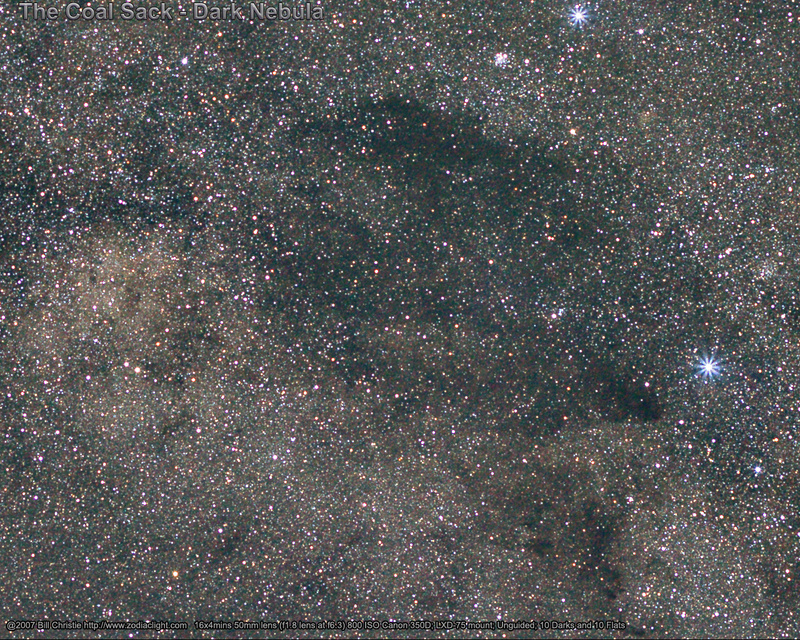 You can view the unreduced (full size) picture here (2MB). 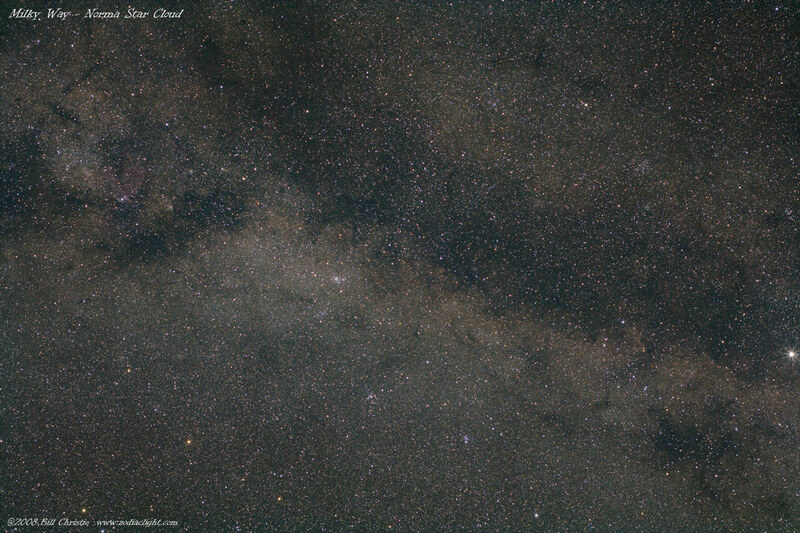 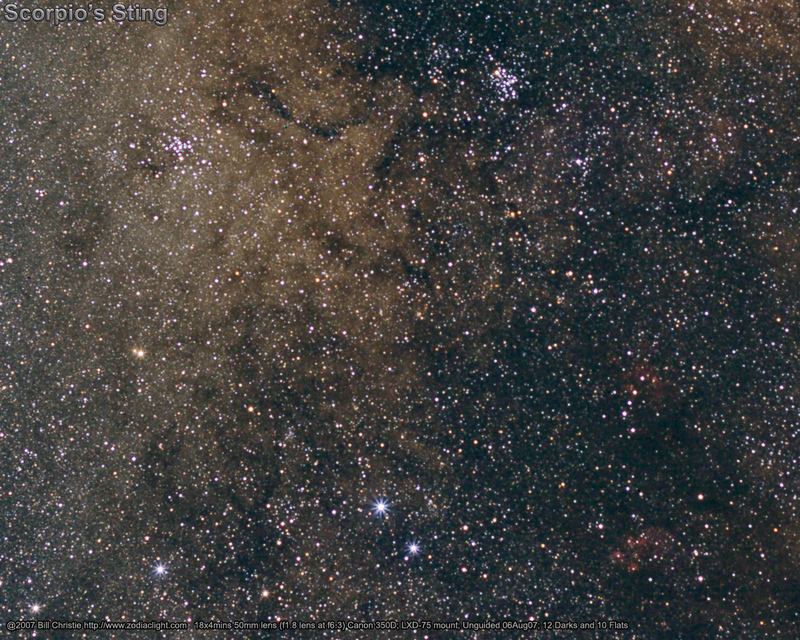 At the bottom of this page you can find links to my other favorite widefield images. 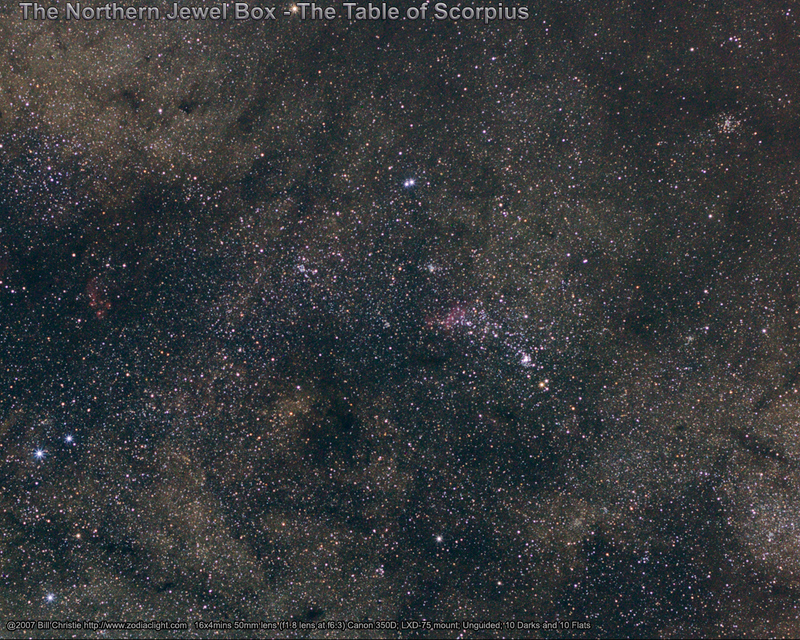 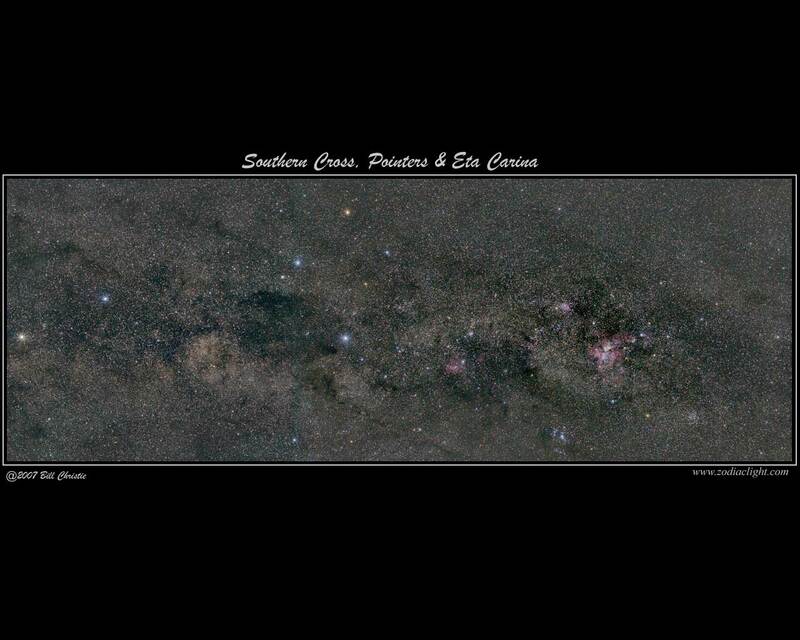 Widefield astrophotographs are spectacular and are perhaps the easiest way to get images of the stars. It doesn't take a lot of equipment to get started. 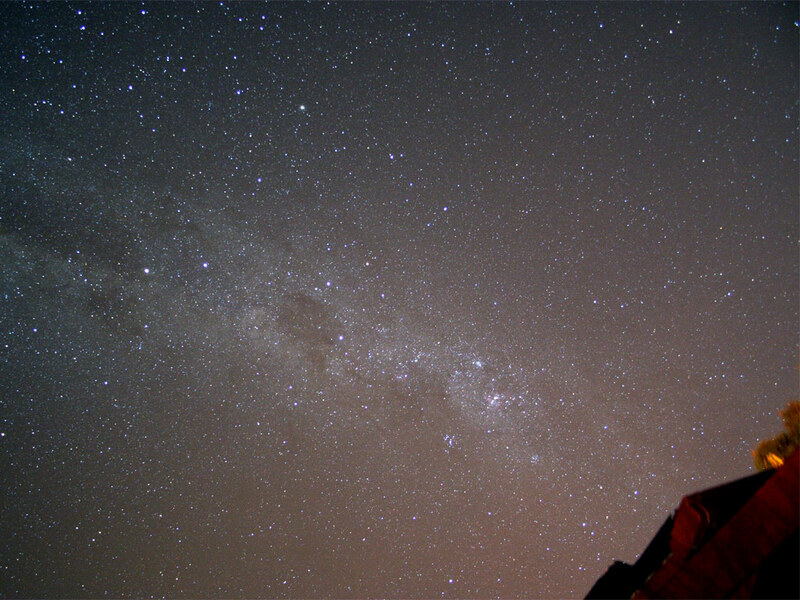 Checkout the Astrophotography section for more information.